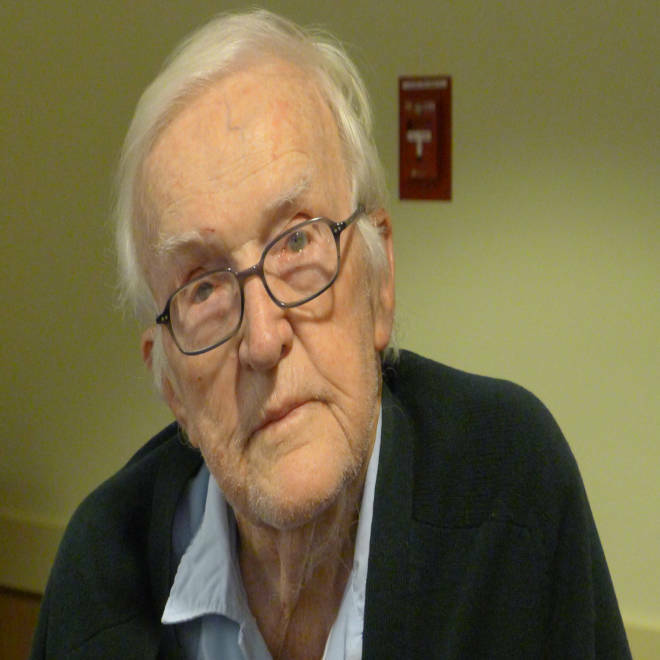 Jesuit priest Bill Brennan, 92, was stripped of his priestly duties after he presided over a Eucharistic liturgy with a woman priest last month in Georgia. A Milwaukee-area Catholic priest was stripped of his priestly duties after he presided over a Mass with a woman priest last month in Georgia. On Nov. 17, the Rev. 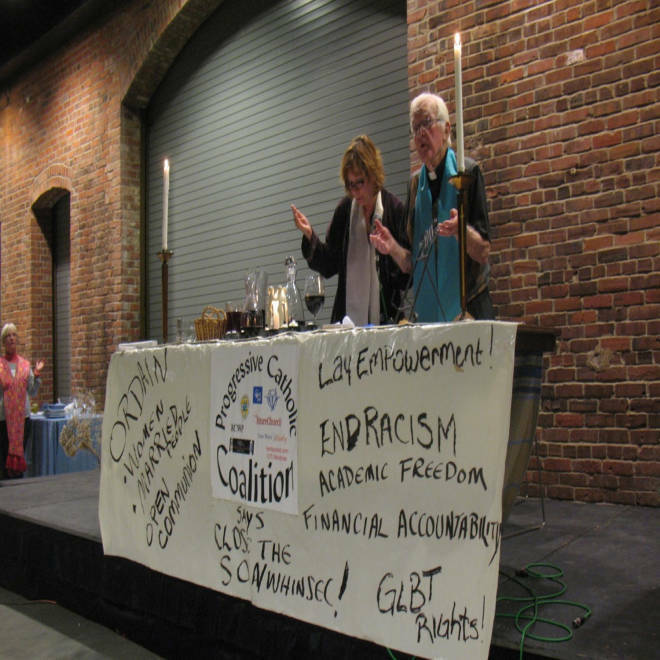 Bill Brennan, a 92-year-old Jesuit, performed a liturgy in Columbus, Ga., at which Janice Sevre-Duszynska, an ordained member of Roman Catholic Womenpriests, an advocacy group that is not sanctioned by the Vatican, was a participant. The Archdiocese of Milwaukee and his religious order, the Society of Jesus, ordered Brennan not to perform any priestly duties in public or present himself as a priest publicly. "I was really angry when I found out ... that his faculties were suspended, too, because for God's sake, he's 92 years old," the Rev. Jerry Zawada, a Franciscan and a friend of Brennan's who has also led liturgies with Sevre-Duszynska and was suspended for it, told NBC News. "But he's so faithful to what needs to happen." "He's willing to take risks at that level," Zawada, a 75-year-old Franciscan, added. The Catholic Church prohibits women's ordination, saying it has no authority to ordain women because Jesus chose only men as his apostles. The church's Canon Law 1024 says only baptized men may receive holy orders. Pope John Paul II issued a letter in 1994 saying that the church "has no authority whatsoever to confer priestly ordination on women," and in 2010 the church included the "attempted ordination of women" among the list of grave crimes against its law, under the same category as the sexual abuse of minors. Grave crimes are punishable by defrocking or excommunication. Earlier this year, Pope Benedict XVI denounced the priests supporting women's ordination, saying their desire to change the church was a "desperate push" driven by their "own preferences and ideas." Instead, the pope urged for the "radicalism of obedience." About 59 percent of American Catholics are in favor of women's ordination, according to a 2010 poll by The New York Times and CBS, but the Vatican sees the initiative as having the potential to cause a rift in the church. Brennan is only the most recent priest to be penalized for his support of women's ordination. Jesuit priest Bill Brennan and Janice Sevre-Duszynska, an ordained member of Roman Catholic Womenpriests, co-preside over a liturgy in Georgia on Nov. 17, 2012. Last month, the Rev. Ray Bourgeois, an American of the Maryknoll religious order, was dismissed by the Vatican's doctrinal watchdog, the Congregation for the Doctrine of the Faith, for his support of women's ordination. Last week, the Vatican also stripped an Austrian priest of his right to use the title monsignor for advocating in favor of women priests and married priests. Sevre-Duszynska told NBC News she wasn't surprised by the actions taken to penalize Brennan, whom she describes as being "good stubborn" and "full of such fire." "It was a hope in the back of my heart that these men would walk in solidarity with Bill, stand up for justice and … make it a new world, make it a new day in our church, as Bill has done," she said. "It’s time for the rest of the male priests to find the courage to listen to the workings of the Holy Spirit in their heart and conscience." The Rev. 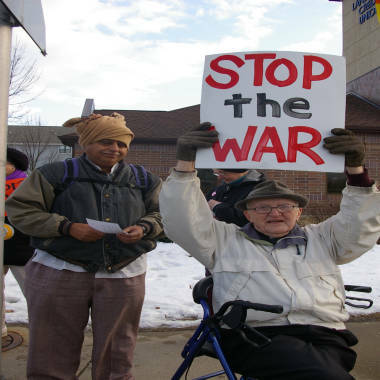 Bill Brennan attends a protest in Milwaukee in 2008. Sevre-Duszynska first met Brennan two years ago at a civil disobedience action organized by SOA Watch, an organization that seeks to close a U.S. Army training school at Fort Benning, Ga. The school used to be known as the School of the Americas, and SOA Watch claims it was involved in human rights abuses in Latin America. For many years, Brennan worked as a missionary in the Central American country of Belize when it was a British colony known as British Honduras. Brennan, who uses a wheelchair when his legs become tired, and Sevre-Duszynska were among the 29 people arrested at the protest. "He's very fragile, but he's very strong in his heart," Sevre-Duszynska said of Brennan. "He's living in the heart of God, and he has lots of strength inside." Brennan's "lifetime of service to the poor" and his work with immigrants and those marginalized by society will continue to be honored by the Jesuits, Jeremy Langford, a spokesman for the Jesuits' Chicago-Detroit province, told NBC News. While Brennan's diocesan faculties have been withdrawn, he remains a Jesuit, Langford said, adding that the Society of Jesus has no intention of taking further actions against Brennan. The Jesuits are mostly known for their missionary work and support of human rights, social justice and education. The Society of Jesus operates many colleges and universities around the world. Brennan, who lives with other retired Jesuits in the Milwaukee area, told the Milwaukee Journal Sentinel that he understood the risks when he decided to perform a liturgy alongside a woman priest. "Sometimes in our lives we have to trust our conscience and bring about the consequences," he told the newspaper. "I wasn't trying to show off for the ladies." According to Sevre-Duszynska, Brennan compared his support of women's ordination to his support for women's suffrage, remembering that when he was born in 1920, his mother was still not allowed to vote. Bob Graf, who was a Jesuit and has known Brennan for almost 20 years, spoke to Brennan this week and said he was taking the decision in stride. "He’s very calm, he’s very peaceful, which is surprising, but he is," Graf told NBC News. "He’s a wise old man," he said, adding that Brennan will continue his life's work. "He just can't wear his robe and collar."